Following Presidential Decree No:2018/514 of 22 October 2018 repealing and reorganizing the Cameroon GCE Board, a decree which was accompanied by widespread condemnation and criticism, as well as praise, we set out to get the opinion of the pioneer registrar of the Board, who alongside others, fought for the creation of the Board, and under their leadership, the text of application was written and used until recently, when a Presidential decree repealed the Board’s statute ushering in some drastic changes that will greatly affect the way the Board functions. In the Interview, the Pioneer Registrar, Azong Wara, opines that a revolution is needed to save what is left of the Board, and that the recent decree of President Biya, has made things much worse. Azong Wara argues that if Anglophones let it go, they will in effect be letting go the only good thing that makes them look like people, in the competitive world of education. He frowns at the exclusion of the University of Buea, the side-lining of teachers, side-lining lay private and denominational school authorities and many others. He also makes a case against the flooding of the Board with representatives of Ministries from Yaoundé, at the detriment of educationists. Azong Wara: I will begin by looking at the preamble to the decree itself. You know these citations that usually come before presidential decrees are very important citations. This thing where they usually say mindful of this, mindful of mindful that; those are very important citations in respect of the decree that follows. The most important law on education in this country is law No 0 4-9 8 of 14 April 1998. That is the most important law on education in this country. You cannot talk of education without mentioning that one because it came out of an education forum organized in this country in 1995 where everything about our educational system was studied by experts from across the whole nation. And this law was debated in Parliament and passed in Parliament and eventually signed into law by Presidential decree. So it is the most important law. Azong Wara: That law says that there are two education subsystems in Cameroon. The French education subsystem and an English education subsystem and these two systems will co-exist and will carry out their educational activities as defined by their own education system. In other words, the subsystem of education in the English subsystem will carry out its teaching, its examination, and others, according to the English Education system with no interference. This is clearly stated in that law and the law goes ahead to say that a Board of Education may be created to take these education subsystems which has not been done up today. Now the important thing I want to say is that since that law is not mentioned in this preamble/citations. It means that somebody does not like that law, and therefore tries to ignore it and brings in laws here which are not even relevant to our system. So if this decree was honestly constructed, that citation would have been there. So I disapprove of this present decree from that perspective. Azong Wara: The next criticism I have is that you convert an examination Board Into a State corporation and you remove the academic authority of that examination Board from it. The Academic authority over the GCE Board is the University of Buea. 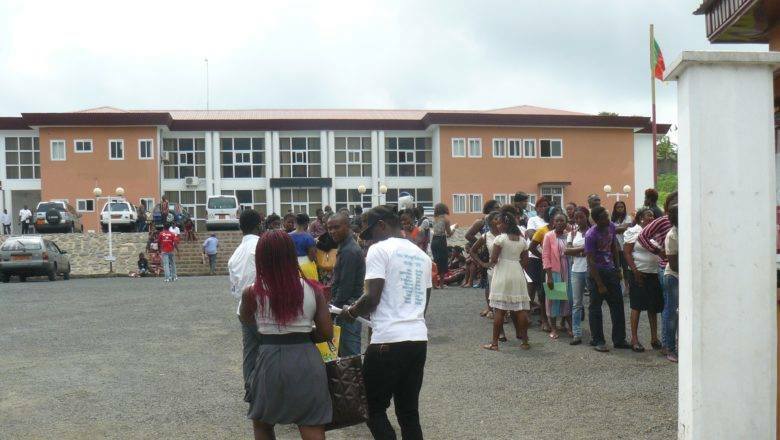 The person who guarantees the authenticity of the certificates issued by the GCE Board is the University of Buea. It is not the GCE Board registrar. The registrar is just an Administrator who administers the exam. He signs the certificates along with the Vice Chancellor of the University of Buea and the Minister of Secondary Education. The Vice-Chancellor signs that certificate in order to give it Academy integrity. The University is left out of this new structure. So the Vice Chancellor cannot sign these certificates if he is honest with himself. He cannot come and sign certificates organized by a system that he has no control over. The former GCE Board had the Vice Chancellor or his representative on the Council of the GCE Board. He also had the examinations executive committee. That is that part which looks at the exam itself, the content of the exam. The other one is like the Council’s administration of the board. But the actual one that looks into the examinations and whether they meet the international quality, whether the certificate should be given, is the examinations executive committee. It sets the standards. It defines the mark limit. That one has been removed from this whole new arrangement. So I don’t see how the Vice-Chancellor can come in, to sign such a certificate. It was constructed without even consulting the University of Buea. I know that if this text had gone through the University of Buea, and if they are honest to themselves they will know that this would not have been the text. This devil mean business and if we don’t act swiftly we will be in a terrible mess. The devil is bent on wiping out anything Anglophone. Why can’t we see it with the same eye? The GCE Board is a vital institution in our system, we don’t need it francophonize. “If you give the devil an inch, he becomes a a ruler”. Can they erase history? NO. We Ambazonians are very smart people. Those stupid people in the government in LRC thinks they can divert our attention and make us fight to keep the GCE. They are doing this thinking that they can push Amazonians to go public and protest, that way they will show it to the world that we are still under their control, even though it is not the case. The election boycott is giving them nightmares and stomachaches. People, get some popcorn and have a sit and watch those crazy frustrated losers destroy themselves. We are not even going to bother. They should take, destroy everything if they want. That is their business. We have Ambazonia to build, nothing else. We are not going to fight for something that is not ours, that we can not own and that can be take away at any time in no time.